Before you arrive at the end of the road, you need to already be planning what you’ll do next. If it is an open junction (a junction at which, as you approach the give way lines, your view is not obscured by objects such as high walls or hedges), try to see what is coming from BOTH directions. Make sure you look RIGHT, LEFT, and RIGHT again, before driving out! It can be tempting if it looks clear, to just look right then drive out. DO NOT do this. It is easy to miss something on your left, such as a parked van, or possibly another car cutting the corner turning into the junction as you emerge. 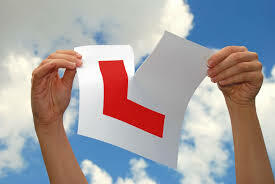 If your instructor doesn’t let you do it on driving lessons, don’t do it on your driving test! So many people go through blind spot checks robotically, just moving their head, because they think this is what examiners want to see. Well it isn’t. What they want to see is that you are fully aware of what is going on around you. This is especially true when you are about to cause the front of your car to swing out into the road as you drive towards the kerb. You must use your mirrors properly, and keep an eye on the areas you can’t see in your mirrors, watching for other road users who may be driving toward you. Watch out for cyclists too! An example of this would be driving past a parked bus. You move out around the bus without checking the right door mirror first. As you drive out, a motorcyclist passes you on your right side. This would usually lead to a serious fault, as you may have caused the motorcyclist to swerve. Remember, whether on your test or as a qualified driver, you must not cause other road users to SLOW, SWERVE or STOP. Many candidates fail to see traffic approaching from behind them, in the road they are turning into. Alternatively, they swing the car out causing an obstruction to traffic driving on the major road. Hitting the kerb is also quite common. Take the reversing exercises S-L-O-W-L-Y! An example of this would be leaving a left signal on after pulling over on the left, then driving off again with the left signal still ticking. Most commonly, this is not looking into the road side (offside) blind spot before moving away. Incorrect positioning on the road – bad lane discipline at roundabouts or being too far into the road going round a bend. A very common serious fault, especially on driving test routes with multiple roundabouts. Be sure not to ‘cut across’ the roundabout, but follow the appropriate lane completely around the roundabout. Often this fault arises on approach to roundabouts where the left lane curves round to the left a little at the roundabout. The candidate is still looking right and does not steer the car with the curve, but remains straight, causing them to straddle the white lane division lines. Lack of steering control – steering too early, or too late. This is most notable when going into sharp corners. Hitting the kerb is possible if this is not done correctly. Contrary to popular belief, crossing your arms on a driving test will not cause you to fail. However, most people tend to lose full control of the wheel when they cross their arms, which is why the fault is marked. It is good practice to use the pull-push steering technique that you have been shown in your driving lessons, which reduces the chances of losing steering control. Incorrect position for turning right – at junctions or on one-way streets. Many learner drivers will drive in the left lane in a one-way street, forgetting that it is actually one-way! Remember you can use either lane in a one-way street! Inappropriate speed – amazingly speeding on driving tests is still in the top ten faults. Whether on a driving test or when qualified, never break the speed limit or travel too fast into a hazard. Remain at a speed that allows you to judge the situation effectively. This also applies to driving slowly all the time. One of the most prevalent myths about the driving test is that “if you drive slowly, you’ll pass.” Well, this is not true. Driving consistently well under the speed limit is just as dangerous as speeding.